The Royal Air Force Search and Rescue Force (SARF or SAR Force) was the Royal Air Force organisation which provided around-the-clock aeronautical search and rescue cover in the United Kingdom, Cyprus and the Falkland Islands. The Search and Rescue Force was established in 1986 from the helicopter elements of the RAF Marine Branch which was disbanded that year. 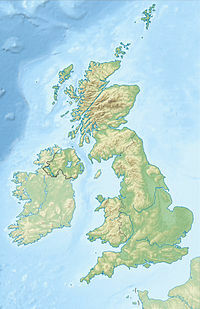 The Force supported search and rescue over the United Kingdom until 4 October 2015 when the role was handed over to civilian contractor Bristow. On 18 February 2016, the force's disbandment was officially marked with a parade in front of The Duke of Cambridge, who was a former SAR pilot, and his wife. Post-war the MCS became a force of 150 vessels which in addition to supporting the operation of seaplanes were equipped for rescue operations, with a launch being at the ready whenever an aircraft was flying over water. However, the training and seamanship of the crews, especially with regards to navigation, meant that the MCS at this time was only suitable for inshore rescue operations. As the vessels it had inherited from the Navy began wear out the RAF began to have built for it launches capable of higher speeds and in light of the larger crews of some aircraft, greater capacity. This would in the late 1930s lead to the acquiring of High Speed Launches (HSL) for rescue operations. However, during the Second World War the MCS found itself ill-prepared for war. During the Battle of Britain even with the help of civilian vessels and the Royal Navy, aircrew who baled out or ditched in the North Sea and English Channel had only a 20 percent chance of being returned to their squadrons, with over 200 pilots and aircrew being lost to the sea during the battle. In light of this, in 1941, an emergency meeting was convened by Air Marshal Sir Arthur Bomber Harris. The Royal Navy offered to take over in its entirety the at sea rescue role, the RAF declined and subsequently created the Directorate of Air Sea Rescue on 6 February 1941, which adopted the motto "The sea shall not have them". Operationally it was to become known as Air Sea Rescue Services (ASRS), which later became the RAF Search and Rescue Force. The headquarters of the ASRS was co-located with that of Coastal Command with which it was to operate closely. Together with creation of specialist Air Sea Rescue Units (ASRU), ASRS worked to improve the survival of aircrews through the development and issue of better individual survival equipment, including one man inflatable dinghies for fighter pilots copied from the Germans; the training of aircrew in ditching drills to maximise their chances of surviving to be retrieved; the development and fielding of air droppable survival equipment; and coordination between the different services, branches and units towards the goal of locating and recovering of downed airmen. The air-sea rescue squadrons of the ASRS flew a variety of aircraft, usually hand me downs rejected or withdrawn from front line service by the RAF's other branches or as in the case of the Walrus begged from the Navy. They used Supermarine Spitfires and Boulton Paul Defiants to patrol for downed aircrew and Avro Ansons to drop supplies and dinghies. Supermarine Walrus and Supermarine Sea Otter amphibious craft were used to pick up aircrew from the water. Larger aircraft were used to drop airborne lifeboats. Although the Walrus and Sea Otters could pick up survivors close to shore and in coastal waters further out to sea it was still not possible for aircraft to routinely pick up survivors, the large flying boats that could do so, such as the Consolidated Catalinas and Short Sunderlands of Coastal Command, had many other jobs to do and were not always available. The role of aircraft in the ASRS therefore, was to locate downed airmen and to keep them alive, by dropping them survival equipment and stores, until an ASRS launch, or one from the Royal Navy's Naval Sea Rescue Services, arrived to pick them up. Generally MCS craft had responsibility for the Channel and North Sea, and Navy ones for the Western Approaches. By the end of the Second World War, more than 8,000 aircrew and 5,000 civilians had been rescued. At the end of the Second World War the MCS had some 300 HSLs and over a thousand other vessels, the largest fleet of such rescue craft in the world. This fleet and the RAF sailors that crewed it would contract as the RAF did, however it continued be found everywhere that the RAF flew over water. In the mid 1950s, helicopters began to replace fixed–wing aircraft and supplement the marine craft in the search and rescue role, their ability to hover giving them an ability to recover survivors that fixed wing aircraft did not have. It was not until the 1960s, with the introduction of the Westland Wessex and later the Westland Sea King, it was possible to replace marine craft in all sea and weather conditions. Helicopters have the advantage of speed, which means that the same coverage as marine craft can be provided with far fewer bases and much reduced personnel numbers. However, even into the 1970s helicopters had not completely replaced RAF marine craft, however by this time the MCS craft were becoming increasingly elderly and service in the MCS increasingly unattractive. In 1986 the Marine Branch was disbanded, the last of the RAF's vessels were retired. Henceforth the RAF's rescue operations would be entirely helicopter based, Air Sea Rescue Services would be renamed the Search and Rescue Force. A SAR Force winchman practising drills. The SARF's primary roles were military search and rescue, and the provision of rescue for civilian aircraft in distress under the 1948 Chicago Convention. The latter was a delegated responsibility to the UK MoD from the Department of Transport, who had primary responsibility for general search and rescue of any type throughout the UK Search and Rescue Region (UK SRR). The military role involved the rescuing of aircrew who have ejected or parachuted from, or crash-landed their aircraft. This role raises the wartime combat effectiveness of the RAF (and RN) by enabling downed aircrew to be returned to front-line flying duties as soon as possible. Although established with a primary role of military search and rescue, most of SARF's operational missions were spent in its secondary role, conducting civil search and rescue. This entails the rescue of civilians from the sea, on mountains, from flooded regions or other locations on land. The aeronautical search and rescue roles were complemented by the related Royal Air Force Mountain Rescue Service whose trained mountaineers also conduct search and rescue in hilly terrain. SARF helicopters and RAF mountaineers often work together on mountain rescue incidents. The military and civil roles were shared with the Sea King helicopters of the Royal Navy's Fleet Air Arm, while the civil search and rescue role was also shared with the helicopters of HM Coastguard. Detachments at RAF Martlesham Heath, RAF Hawkinge, RAF Shoreham and RAF Tangmere. Operational locations of aeronautical search and rescue cover in the United Kingdom. The colour of the location mark indicates the agency providing helicopter response (blue: Fleet Air Arm, yellow: RAF Search and Rescue Force, red: Her Majesty's Coastguard). No. 22 Squadron equipped with the Sea King HAR.3/HAR.3A. No. 202 Squadron equipped with the Sea King HAR.3. No. 84 Squadron based at RAF Akrotiri in Cyprus and equipped with the Griffin HAR.2. No. 1564 Flight based at RAF Mount Pleasant in the Falkland Islands and equipped with the Sea King HAR.3. SARF's Operational Conversion Unit was No. 203 Squadron also based at RAF Valley and equipped with the Sea King HAR.3. In the UK, maritime search and rescue was coordinated by HM Coastguard, while land-based operations are usually coordinated by the local Police force. From 1941 until the end of 1997 there were two Aeronautical Rescue Coordination Centres (ARCC) – at Plymouth and at Edinburgh. These two were combined in 1997 at RAF Kinloss in the north of Scotland. All requests for assistance from the emergency services throughout the United Kingdom (Police, Fire, Ambulance and Coastguard) are now handled at this single ARCC. The centre is responsible for tasking and coordinating all of the UK's search and rescue helicopter and the RAF Mountain Rescue Service. Planned operational locations of aeronautical search and rescue cover in the United Kingdom from 2017. The colour of the location mark indicates the type of helicopter at each location (blue: AgustaWestland AW189, red: Sikorsky S-92). In 2006, the government announced controversial plans to effectively privatise provision of search and rescue helicopters in order to replace the ageing Sea Kings, although they have suggested that crews may, at least partially, still be made up of military personnel. In February 2010, Soteria SAR was announced as the preferred bidder for the UK SAR programme. On 8 February 2011, days before the contract was due to be signed, the UK Government halted the process after Soteria admitted that it had unauthorised access to commercially sensitive information regarding the programme. While this contract is being renegotiated, a "Gap" contract was tendered for the existing Maritime and Coastguard Agency (MCA) bases and in February 2012 it was announced that Bristow Helicopters would take over the running of Stornoway and Sumburgh using Sikorsky S-92s and that Portland and Lee on Solent would be retained by CHC Helicopter using AgustaWestland AW139s. In March 2013 the Department for Transport announced that it had signed a contract with Bristow Helicopters Ltd to provide search and rescue helicopter services in the UK with operations commencing progressively from 2015. The new service is expected to be fully operational across the United Kingdom by summer 2017 and will use AgustaWestland AW189 and Sikorsky S-92 based at ten locations around the UK. ^ Royal Air Force. "RAF Search and Rescue Force Disbandment Parade". Facebook. Retrieved 18 February 2016. ^ "RAF Search and Rescue Force Disbandment Parade". Royal Air Force. Archived from the original on 25 February 2016. Retrieved 20 February 2016. ^ a b c d e f Sutherland, Jon; Canwell, Diane (2010). The RAF Air Sea Rescue Service 1918–1986. Barnsley: Pen and Sword. ISBN 184884303-8. ^ a b c Jefford, Jeff (2007). "The ASR Air Orbat In WWII" (PDF). RAF Historical Society Journal. Royal Air Force Historical Society (40): 34–44. ISSN 1361-4231. Retrieved 6 May 2018. ^ London, Peter (2003). British Flying Boats. Stroud: Sutton. p. 182. ISBN 0-7509-2695-3. ^ a b c d e f Jefford 1988, p. 32. ^ a b c d e f g Jackson 1990, p. 100. ^ Brown, Peter (5 October 2015). "RAF Search and Rescue operations end as 22 Squadron is stood down". North Devon Journal. Archived from the original on 8 October 2015. Retrieved 8 January 2016. ^ "RAF Sea King Lands For The Last Time as an Operational SAR Flight at RAF Valley". Royal Air Force. 1 July 2015. Archived from the original on 4 March 2016. Retrieved 8 January 2016. ^ "Chivenor Sea King Completes Final RAF UK Operational Sortie". Royal Air Force. 5 October 2015. Archived from the original on 4 March 2016. Retrieved 8 January 2016. ^ a b "202 Squadron". Royal Air Force. Archived from the original on 27 January 2016. Retrieved 8 January 2016. ^ "Sea Kings Depart RAF Boulmer". Royal Air Force. 1 October 2015. Archived from the original on 4 March 2016. Retrieved 8 January 2016. ^ "Last RAF Sea King helicopter leaves Lossiemouth as Bristow takes over". STV News. 7 April 2015. Retrieved 8 January 2016. ^ "RAF Kinloss: ARCC". Royal Air Force. Archived from the original on 7 April 2008. Retrieved 2 May 2018. ^ "Aeronautical Rescue Coordination Centre". ARCC Kinloss. Archived from the original on 3 March 2008. Retrieved 24 February 2008. ^ "Private Bids Plan for Air Rescue". BBC News. 9 May 2006. Retrieved 24 February 2008. ^ "MOD and MCA/DfT selects Soteria for SAR-H Programme". Soteria SAR. 9 February 2010. Archived from the original on 12 April 2010. Retrieved 6 April 2010. ^ "Government contract to deliver faster, state of the art search and rescue fleet". Department for Transport. 26 March 2013. Retrieved 26 March 2013. ^ "Written statement to Parliament: Search and rescue helicopters". Department for Transport. 26 March 2013. Retrieved 26 March 2013. ^ "Bristow Group to take over UK search and rescue from RAF". BBC News. 26 March 2013. Retrieved 26 March 2013. Jackson, R. (1990). Air Force - The RAF in the 1990s. London, UK: Guild Publishing. ISBN 978-1853101014. Jefford MBE, Wg Cdr C. G. (1988). RAF Squadrons. A comprehensive record of the movement and equipment of all RAF squadrons and their antecedents since 1912. Shrewsbury: Airlife. ISBN 1-85310-053-6. "Welcome to RAF Search and Rescue (SARF)". RAF Search and Rescue Force. Archived from the original on 17 March 2016. "Welcome". Royal Air Force Air Sea Rescue & Marine Craft Section Club.